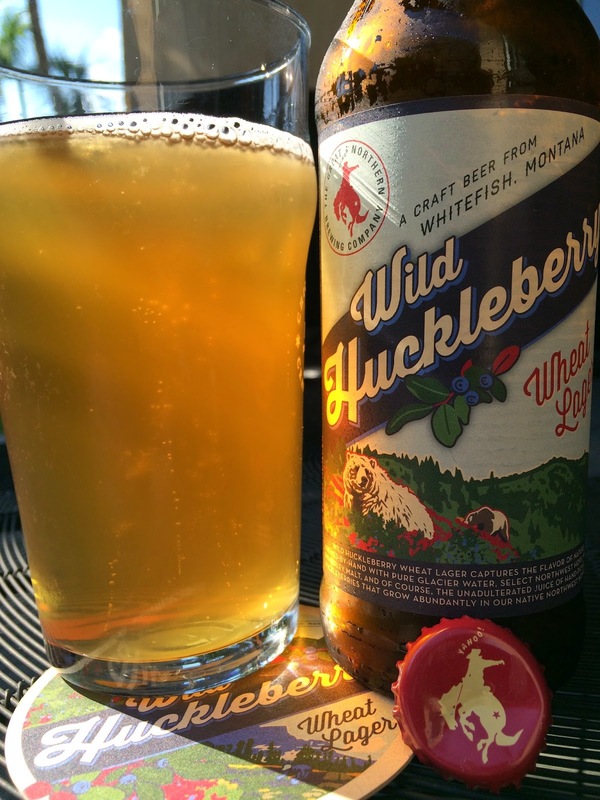 Today I'm checking out Wild Huckleberry Wheat Lager brewed by Great Northern Brewing Company in Whitefish, Montana. This is one of their year-round flagship beers, and the label shows two bears foraging for berries in the Montana wilderness. 4.6% alcohol. 11 IBU. Tart berry aroma over wheat, very pleasant. Flavors are very berry forward yet are not over the top. The flavors are very natural, excellently presented. Not sweet at all, rather lightly tart. There is some bread dough flavor in the background but that's about it. Simple, nice mouth feel, refreshing, flavorful! Check it out!